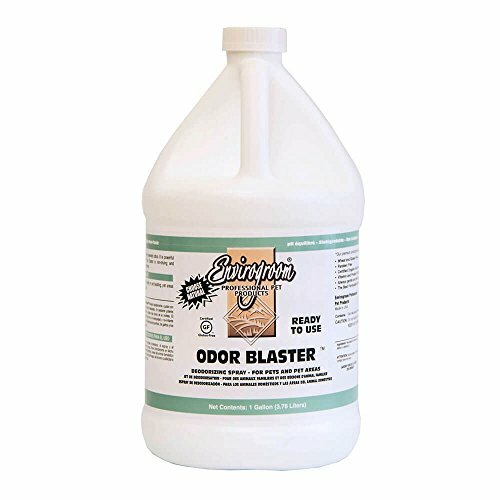 Envirogroom Odor Blaster Pet Deodorizing Spray Gallon by Envirogroom at Annie's Dog Spa. MPN: Env-7032. Hurry! Limited time offer. Offer valid only while supplies last. Envirogroom Odor Blaster pet deodorizing spray is a powerful, ready-to-use formula that is tough enough to handle the toughest doggy odors! If you have any questions about this product by Envirogroom, contact us by completing and submitting the form below. If you are looking for a specif part number, please include it with your message.